I love this Apron Wrap Dress! I have made it in just about every size from 12 months to 8 now, and in all sorts of combinations: patchwork madras for the end of summer, pink and green paisley for the beach, and now a "woodsy" japanese import print with red gingham on the reverse for Scarlett's Woodland Picnic birthday. I'm not sure which is my favorite, but I think layering this dress for Fall is perfect for our change of seasons. The simple, linear shaping of this dress is a really fun foil to the full ruffler blouse. I love the way it frames Scarlett's face. A turtleneck would be fun too. Is that so throwback?! The reverse of this dress is great faux bois fabric from Joel Dewberry: Woodgrain fabric. I love faux bois. 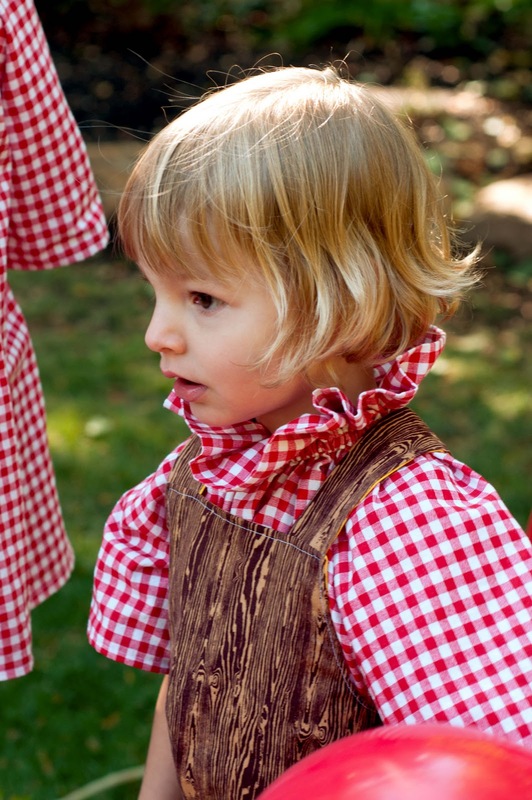 I think the it looks terrific with the red gingham. But Scarlett prefers to wear the yellow "critter" side out. (It's another Cosmo Textiles japese import print, which I purchased well over a year ago and can't find online currently.) And Audrey said of the faux bois, "it is a little weird, Mom." I love her honesty! Well, I would wear the faux bois side out but Scarlett can make the pick for her party. So this means the birthday party outfits (and balloons) are ready to go (thank you KCWC for the extra push!). Tess isn't getting something new. She may wear this little critter dress from Scarlett's first party. Or perhaps something warmer. We'll see what the weather does. Seems like it was just summer! This also means the Apron Wrap Dress pattern is finished an available in my Etsy Shop! So happy to cross it off my list! It is designed for sizes 1 year to 8 years! I am offering it at 30% off through October 21st with the coupon code: INTRO30. And, if you leave me a comment here, I'll pick three random winners Tuesday, October 18th to receive the pattern free. Have a great weekend! Isn't it Friday yet? Very cute dress pattern. And love the fabric combo of yellow and wood. Thanks for the chance to win the pattern. I love that yellow - almost as much as the red deer fabric that you used in the wrap skit. Thanks for the chance to win the pattern! It's adorable! Ooh! This is such a cute pattern, it would get plenty of use over here, I'm sure! Your girls are too cute. Do they really love each other like that all the time? Great choice with the Woodgrain fabric. I love that print. Such a cute pattern! I have twin grandaughters who'd love this dress. Thanks for the giveaway. Such a cute dress! I could see making one in every size for my daughter too. Oh my goodness! I love it with the JD facing out! Is there a ruffler pattern yet? I need to make one for me! love that, Matches baby's sheets! I love this dress. It looks like it would be so much fun for a little girl to wear. pick me pick me! :) Would love this for my little Gianna. I've got some pink owly fall fabric that has been waiting for just the right pattern! I would be tempted to pick the faux bois, too -- I think I have a bit of every color tucked away -- but the yellow woodland fabric is too, too, too cute. Thank you for this giveaway winning chance :). I like your taste! This is a very fun pattern I'd love to use it! I also like the shirt/tunic with that ruffle neck! It makes the outfit! Thanks for the chance to win!! I love this pattern. It's too cute and I like seeing all the different ways you have made it up. I would love to win the pattern so I can make one of these for my 3 year old's birthday. What a great dress with such fun prints! When I view your blog on my iphone now the photos don't load correctly (I can view say 3/4 of the photo). Does anyone else have this problem or something strange with my phone? I'm pretty new to subscribing to your blog but I already get a smile when I see a new post pop up ... you've got me hooked ;). So hello to you and thank you for all this wonderful inspiration. 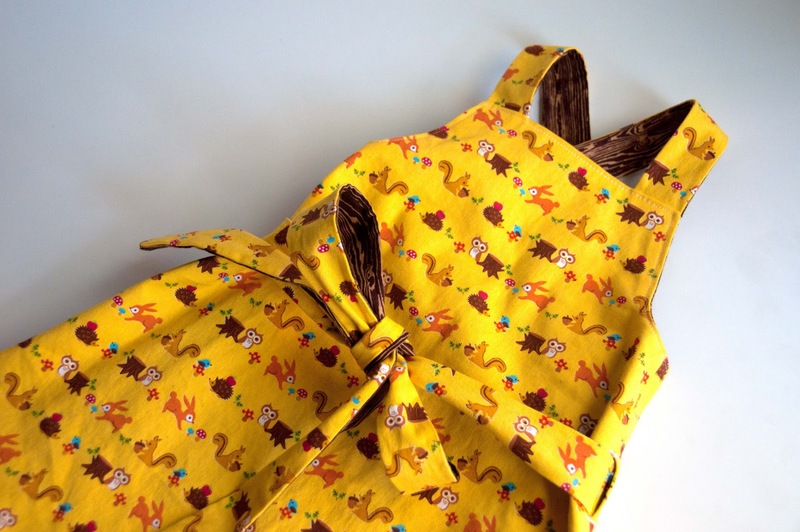 I know some little girls in my life that would look adorable in this apron dress :). Thanks, everyone! So nice to have your feedback. @CBH: I am one of the few who isn't using an iPhone. I wish I knew more! Maybe I'll have someone else test it for me. I wouldn't know if it's my specific site (my photos are extra large...) or something with your particular phone. I hope it gets better! I love it! Your girls are adorable, as always! 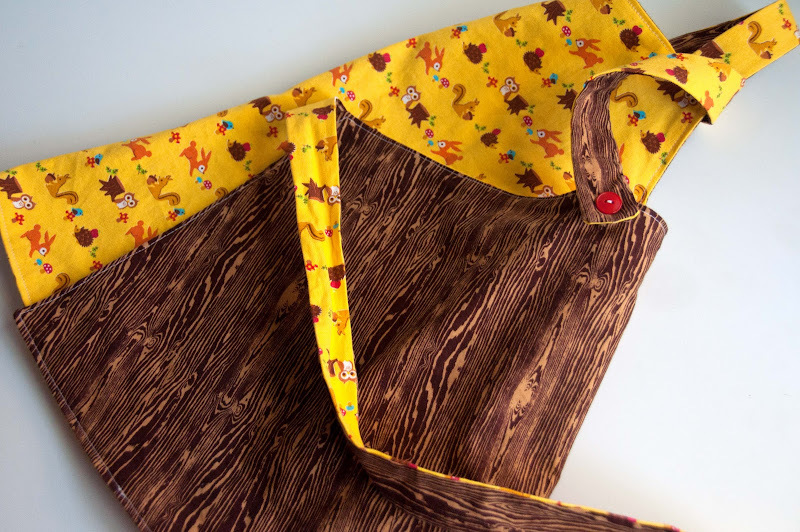 I love this apron wrap, the faux bois fabric is such a great addition, I think children looks so great in brown. What a celebration! you have nailed down every detail in planning. I just discovered your Etsy shop and your blog today. What great timing considering your give away! Love this pattern and your blog too! Your girls are simply darling! I love how well you dress them. It is a great inspiration to me. I do hope I win! I adore this dress! And I love the fact it goes up to a size 8! I love the wood looking fabric, so cute! I would love to win this pattern! my daughter and many nieces would appreciate it, I think. now to find that perfect woodland fabric! This pattern is lovely, I would love to win it! I think the faux bois complements the yellow patterned fabric so well, beautiful! so very adorable! I need a girl to sew for! You do wonderful things. Oh, I would love to win this pattern! I love this pattern and would love to win! 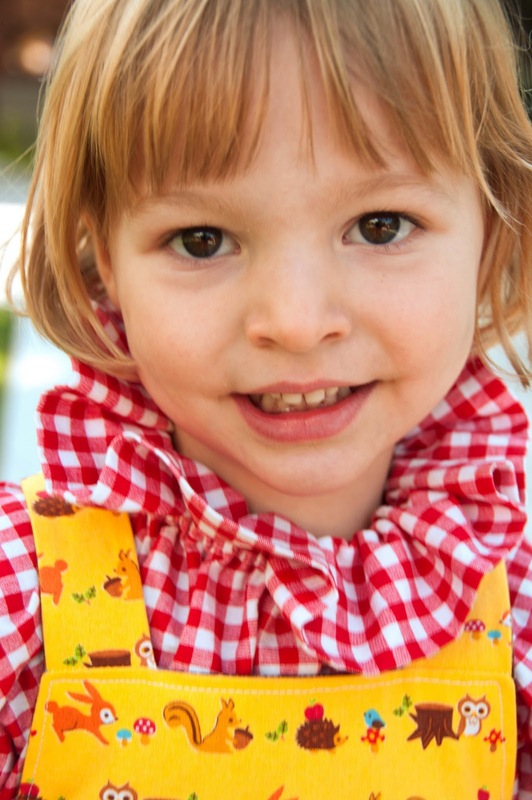 I definitely want to make this adorable jumper and blouse for my 3 precious granddaughters. The twins are 5 and the baby is 3. They will look so cute in this outfit. I hope I win!!! What a cute dress! I love the fabric you used. Please pick me!! I love your blog, I cannot wait to try everything!! You amaze me. I love everything you make. These wrap dresses are particularly cute! You make such beautiful clothes for your girls! Love the faux wood fabric. What a cute dress pattern! My girly girl loves dresses and I'm sure she would love to help pick out fabric for her own dress if she could. Thanks for all the wonderful sewing inspiration! 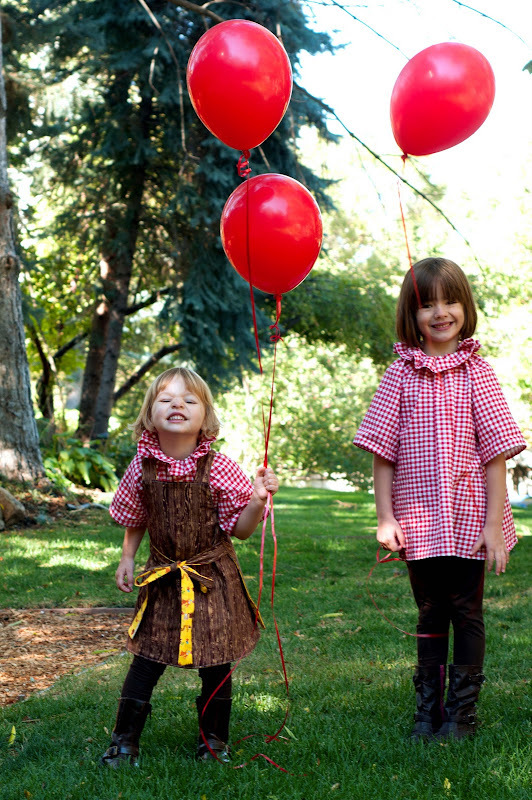 Loving your blog...it is motivating me to learn to sew as I have 3 little girls at home as well. Thanks for the inspiration! Adorable dresses! I especially love the madras version. Love your fabric choices and the dress, of course! Would love to own this pattern!! Love the pattern, love the cute fabrics! 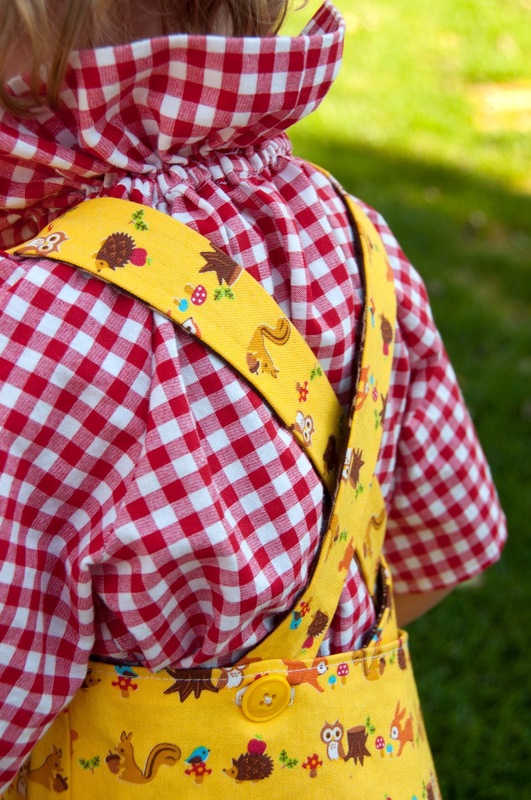 What a great pattern and love the fabrics you've used, too! Would love to win! Love your blog!! Your work is lovely. 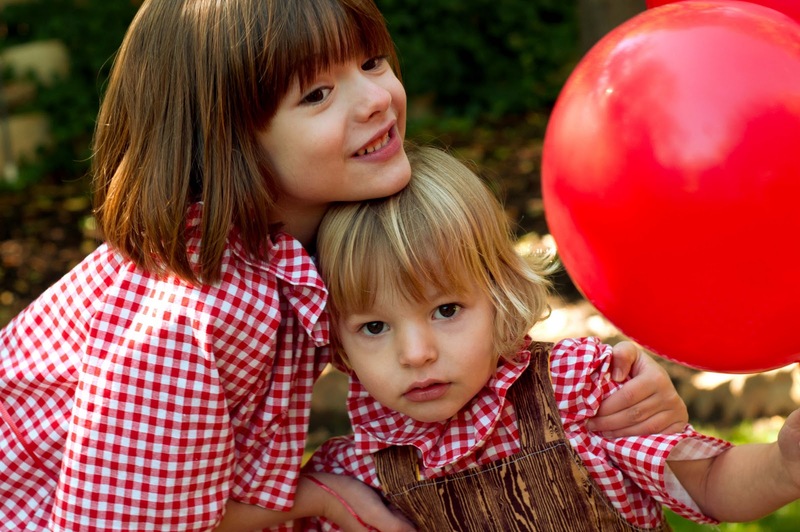 How do you find time to get so much accomplished with littles? Amazing! Love seeing (and pinning) your projects. Cute fabrics, silhouettes, and girls. Wouldn't mind winning this cute pattern either. 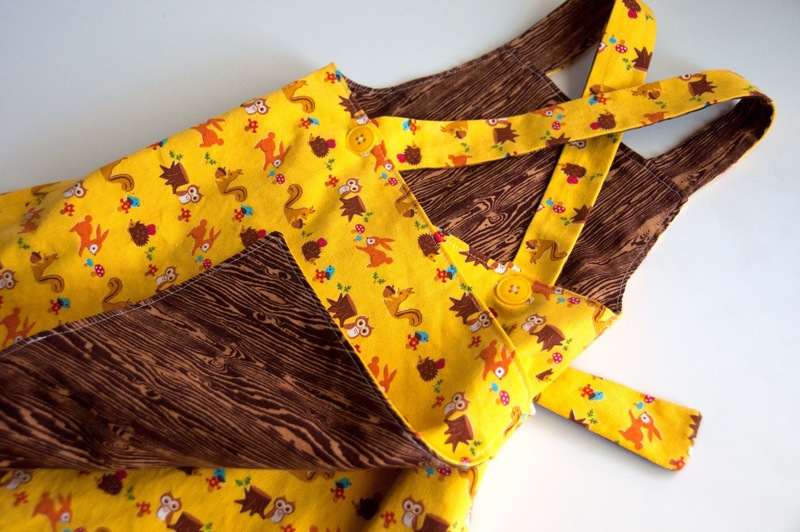 Would love to win this as I just bought the cutest little deer and squirrel printed fabric for my daughter! It would look so cute as an Apron Wrap Dress! I really love both sides!! Beautiful dress! This is so cute!!! I WANT ONE! I am just learning to sew "real things," after sewing by hand and basic things for years. I am also learning how a sewing machine works "for real," and not just how to get it to sew where I want, so this would be a fun (and do-able) early project! This is so cute! I can't wait till my baby girl grows a bit more to wear adorable dresses like this! Beautiful, as usual!! Pressing the "Like" button! What a cute dress! Thank you for the chance to win! Fabulous pattern. Just love it. That is adorable!! Thanks for the chance to win!! I love this pattern! And the fabric couldn't be cuter! This is gonna make a perfect apron for my nice's upcoming birthday! Thanks! This is exactly the sort of classic look that I love on my two year old. Thank you for the chance to win! Very cute pattern! Love that it's reversible. Thanks for the giveaway! I love this pattern! So versatile- perfect for every season depending on the fabric chosen and what it is layered with! Darling blouse, darling dress, darling girls! I have a granddaughter that I'd like to try your pattern on. Thanks for the giveaway! You have such a classic style that I love. Adorable pattern! Adorable dress. I love the combination of fabric you used. I think it is soooo cute! Pick me! I purchased the pattern from your shop..but my mom would LOVE a copy too...and that means more adorable dresses for my daughter! thanks for sharing such beautiful things! So cute! I would love to have this pattern!! Oh, pick me up! I want make this for my daughter. It's so beautiful. Thanks for the chance to win the pattern. If I don't win I will come back and buy it. I love the pattern but that little girl of yours is quite the character LOL!